Today marks the day in 1898 when the Philippines declared independence from Spain. Sadly for the nation this was not the end of the matter by a long way, but it was a start. Revolution for independence broke out in 1896 after years of mounting sentiments in favor of it and the formation of secret groups of revolutionaries, most notably the Katipunan, who advocated armed rebellion against Spain. 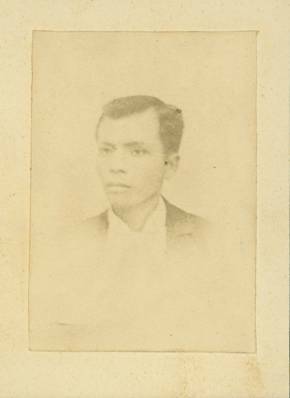 The Katipunan was founded by a group led by Andrés Bonifacio who ultimately became the supreme head. He is, therefore, often called “the father of the Philippine Revolution.” The Katipunan spread throughout the provinces of the Philippines forming their own secret government. By 1896 the Spanish authorities became aware of the existence of the Katipunan and took steps to repress it, including arrests and executions. By August 1896 hostilities had broken out. Bonifacio called for a simultaneous coordinated attack on the capital Manila. This attack failed, but the surrounding provinces also rose up in revolt. 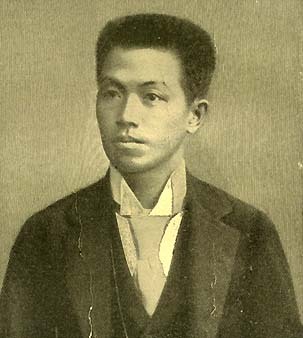 In particular, rebels in Cavite led by Emilio Aguinaldo won early victories. A power struggle among the revolutionaries led to Bonifacio’s capture and execution by the Spanish in 1897, with command shifting to Aguinaldo, who led his own revolutionary government. That year, a truce with the Spanish was reached called the Pact of Biak-na-Bato and Aguinaldo was exiled to Hong Kong. Hostilities, though reduced, never actually ceased. On April 21, 1898, the United States began a naval blockade of Cuba, the first military action of the Spanish–American War. On May 1, the U.S. Navy’s Asiatic Squadron under Commodore George Dewey decisively defeated the Spanish navy in the Battle of Manila Bay, effectively seizing control of Manila. On May 19, Aguinaldo, unofficially allied with the United States, returned to the Philippines and resumed hostilities against the Spaniards. By June, the rebels had gained control over nearly all of the Philippines with the exception of Manila. On June 12, Aguinaldo issued the Philippine Declaration of Independence and the First Philippine Republic was established. Neither Spain nor the United States recognized Philippine independence. The Spanish government later ceded the Philippine archipelago to the United States in the 1898 Treaty of Paris. The Philippine Revolutionary Government did not recognize the treaty. When the Americans sought to execute the terms of the treaty, a three-year conflict, now called the Philippine-American War, ensued. The United States did not grant independence to the Philippines until 4 July 1946 and for a time 4 July was Independence Day. On 12 May 1962, President Diosdado Macapagal issued Presidential Proclamation No. 28, which declared Tuesday, 12 June a special public holiday throughout the Philippines, “… in commemoration of our people’s declaration of their inherent and inalienable right to freedom and independence.” On 4 August 1964, Republic Act No. 4166 renamed the 4 July holiday as “Philippine Republic Day”, proclaimed 12 June as “Philippine Independence Day”, and enjoined all citizens of the Philippines to observe the latter with befitting rites. Independence Day is marked by public and private events. In the morning, government leaders attend ceremonies for the simultaneous raising of the national flag (first raised on this day in 1898) at 7 am at various historic sites throughout the country. In the afternoon there is a massive parade of civic and military groups in Manila. There are also, of course, family gatherings and celebrations throughout the nation. I have no doubt that at many family feasts in the Philippines today there will be adobo served. Adobo is synonymous with the cooking of the Philippines. But there are probably as many recipes and styles as there are cooks. Adobo is really an umbrella term meaning that the ingredients are marinated and cooked in a sauce with vinegar as its base. Here is a simple recipe for a chicken adobo. The key is to make sure the sauce reduces so as to provide a thick coating for the chicken. It is usually served with plain white rice. Combine all the ingredients in a non-reactive bowl and marinate in the refrigerator for 2-3 hours, or overnight. Place the chicken and marinade in a saucepan and bring to the boil. Simmer for about 50 minutes until the chicken is tender and sauce is reduced by half. It works well to cook the chicken for about 25 minutes with the lid on, and then take the lid off for the remaining cooking time.